Caregiver Navigation - Southern Tier Health Care System, Inc.
​Providing care for a loved one can seem like an overwhelming task at times. Being a caregiver places new demands on your time and resources and can strain relationships. For new caregivers, one of the most challenging tasks can be figuring out what resources exist to help care for a loved one. The caregiver navigator at Southern Tier Health Care System can serve as a guide as you search for supports and services to help provide care for your loved one. The caregiver navigator will meet with you to determine what your needs are and will help connect you to existing community resources that can assist you. 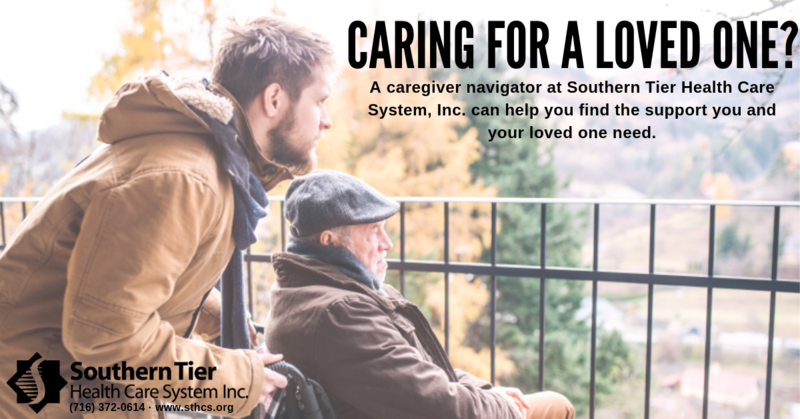 Southern Tier Health Care System offers free caregiver navigation services to help you identify which resources are best suited for your situation. To schedule an appointment with a caregiver navigator, please call (716) 372-0614 or send us an email. Taking care of a loved one isn't an easy job, but community resources exist to help you provide care for your loved one and yourself.